Choosing a flush-to-the-wall door: hinges, handles, and locks. Home / Blog / Choosing a flush-to-the-wall door: hinges, handles, and locks. In flush-to-the-wall systems, details can make all the difference. Here are the secrets to choose the perfect flush-to-the-wall door. Elegant and essential, flush-to-the-wall doors will bring class to the design of your home. But how do you choose a flush-to-the-wall door among the many available? As always, when shopping, the price/quality ratio has a great impact on your choice. But it is important that esthetics and functionality aren’t compromised by low cost. Which are the basic characteristics to which you should pay attention? The details you should keep in mind when choosing a flush-to-the-wall door. 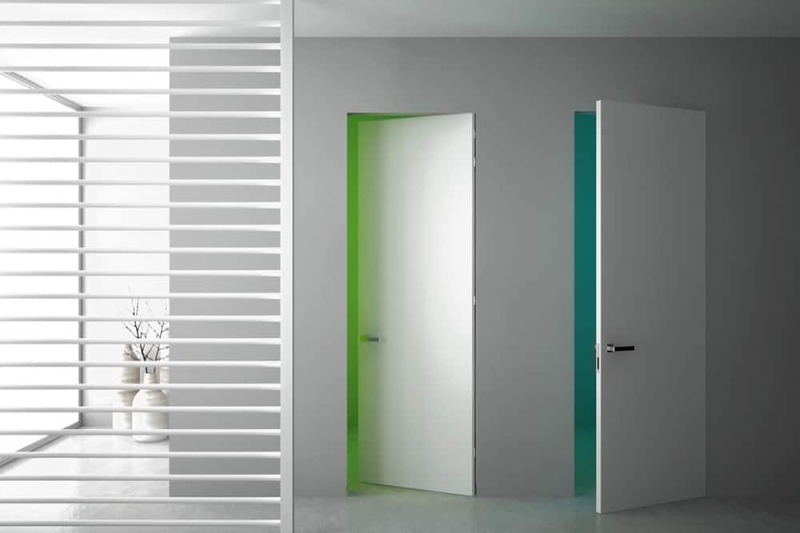 Flush-to-the-wall doors offer many advantages for those who love minimalism and space maximization. Space saving, the invisibility ensured by the absence of a frame, and essential design are some of the most appreciated advantages. The variety of models available – ranging from the hidden flush-to-the-wall door to the hinged version, from the pivot door to the floor-to-ceiling model – makes it possible to cater to any kind of furnishing requirement. But, personal preferences not with standing, there are some details you must never ignore to get the most out of a flush-to-the wall system. 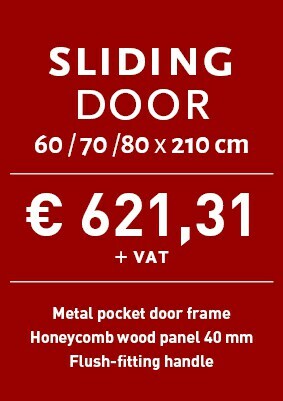 A detail one often ignores when choosing doors is the hinges connecting the door to the frame. When dealing with flush-to-the-wall doors, the quality of the hinges is paramount to ensure optimal functioning. A door that aims to excel because of its invisibility when closed must of course be fitted with concealed hinges. Concealed hinges are set in the panel and in the frame to preserve the seamless effect, with a both esthetic and practical benefits. 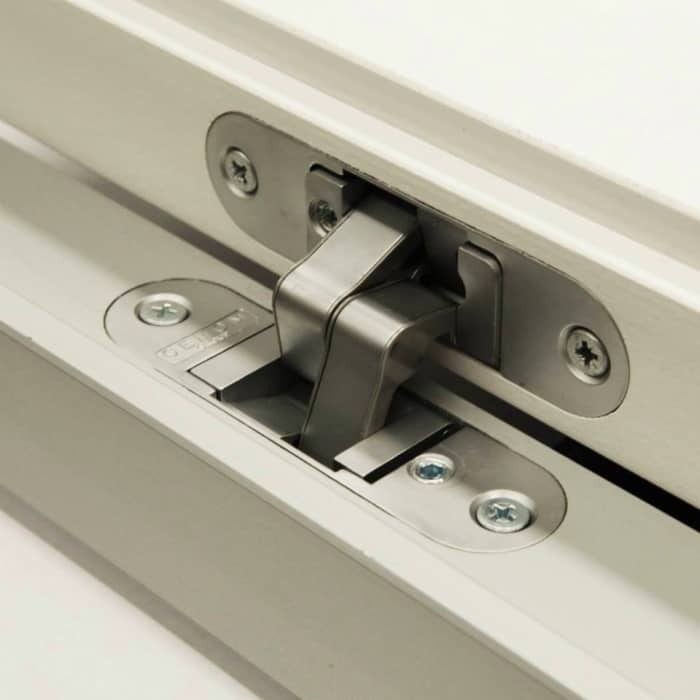 In fact, this kind of hinge, if of high quality, can prevent the door from warping and is more stable in time. The panel of the door will remain steadily anchored, preventing unwelcome sagging and warping. Another essential feature for flush-to-the-wall door hinges is their alignment. Adjustable hinges make it possible to regulate height, depth and width, so as to compensate for any defect in the masonry or plasterboard. This ensures a perfect alignment of the door with the wall once it is closed. Flush-to-the-wall doors can be fitted with traditional handles of different shapes and models, or you could opt for hidden handles. In this case, the closed door is basically indistinguishable from the wall, as no element protrudes marking their presence. Hidden handles do not have a grip, rather a practical push-to-open system that activates the magnetic mechanism of the lock. A last, essential, feature you must keep in mind when choosing a flush-to-the-wall door is the type of lock. The ideal closure for a flush-to-the-wall door is a magnetic lock. Compared to traditional locks, magnetic locks prevent the frame from getting worn in time by the constant friction with the latch. Furthermore, a magnetic lock is particularly practical and silent, features which are very well suited to the discrete modernity of flush-to-the-wall doors. InvisibleDoor offers a vast selection of flush-to-the-wall doors, all of which feature adjustable and hidden hinges. 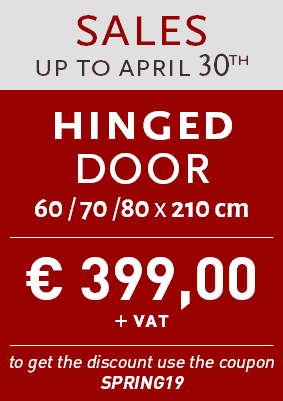 Every door is fitted with a magnetic lock, available both in the version with a simple handle and with key and plug. Alternatively, there are also models without handles, with magnetic closing. 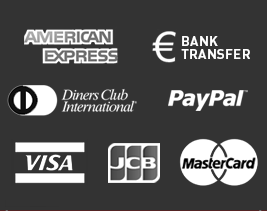 Discover all the available models on our website. ← Flush-to-the-wall pivot door: elegance and airiness.